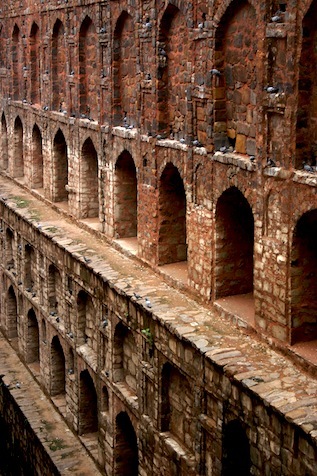 At the centre of New Delhi lies the 15th century structure known variously as Ugrasen ki Baoli and Agrasen ki Baoli. Left there to ruin in the 21st century as if by mistake, or perhaps due to its uncanny ability to remain hidden in plain sight. 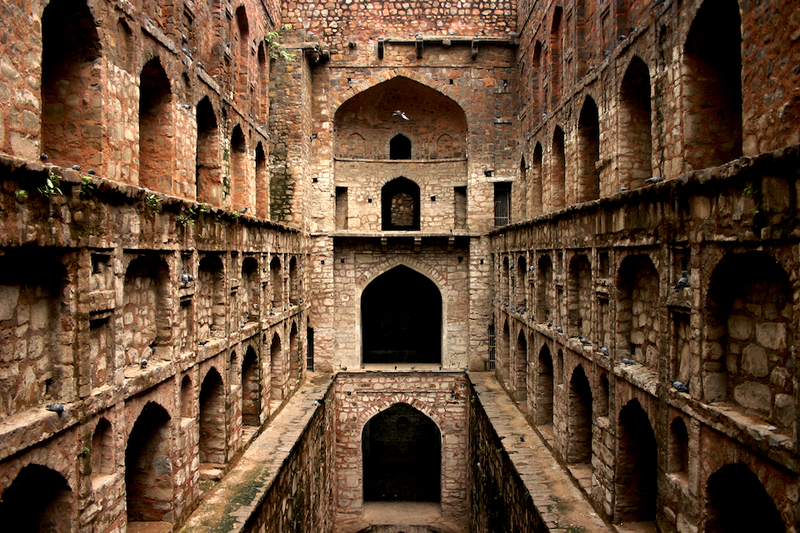 Originally built as a safeguard against unpredictable water availability, the baoli or stepwell today has all but completely dried up. 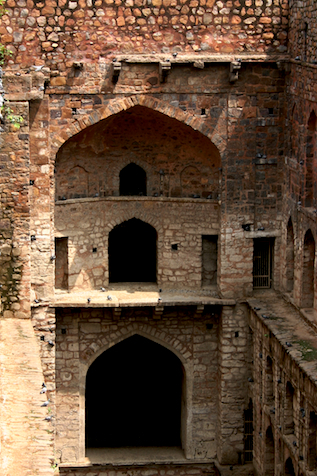 It is now a heavenly refuge for the pigeon and bat populations of Central Delhi. The solid walls of stone are lined with nesting pigeons and the one hundred and four long steps are littered with their excreta. 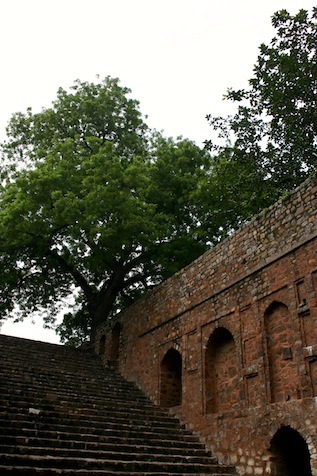 Speaking of treasures hiding in plain sight, my good friend Rashmi has finally started her own photoblog. She has developed this clean and soothing aesthetic and I strongly encourage you to check out her work. I had the privilege of designing the site, but really her photos are so good that they would rock any theme. Lovely choices. Having seen the similar image over the web in the recent times, this hands down, looks down right awesome. Thanks! I’m quite pleased with this myself. This one’s been on my Delhi list for too long. Great shots, especially the symmetry of the one above. Thanks Rakesh. Very calming place this, and almost no visitors to disturb the peace. Would’ve been perfect if only for the stench. Did you notice the colour gradient in the walls on different levels? Tried to favorite the photo on top on Flickr. Wasn’t able to find it. Thanks Abhishek. These photos are up on Flickr now. I get a little lazy after publishing a post, hence the delay. The first one is beautiful and spooky ! Copyright © 2005–12 (unless otherwise noted). Please be nice.